JULSEN F.W. 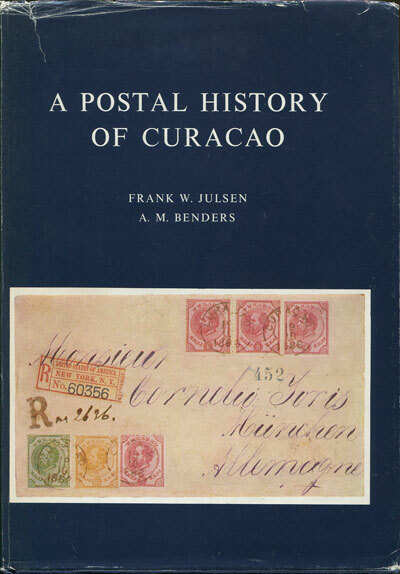 and BENDERS A.M. A postal history of Curacao - and the other Netherlands Antilles. 626pp. 1st ed., clean in D/W. 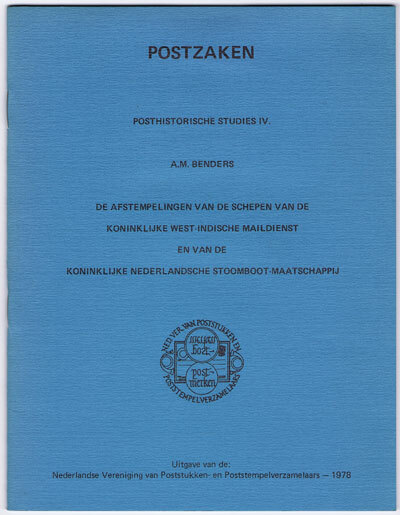 BENDERS A.M. De Afstempelingen van de Schepen van de Koninklijke Nederlandsche Stoomboot-Maatschappij. 32pp. Clean in card covers. BOEKHANDEL SALAS Old Native Cottage. 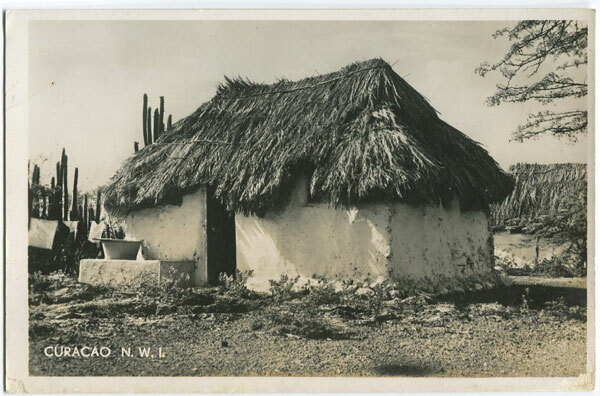 Real photo postcard, fine unused. 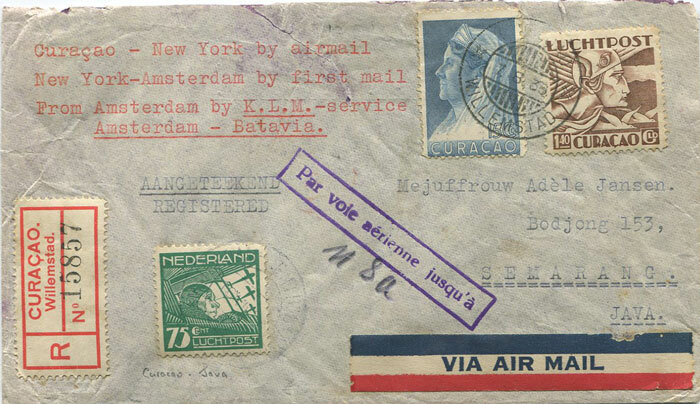 1936 Curacao registered airmail cover to Batavia with boxed 'Par voie aerienne jusqu'a' h/s with $2.30 franking. Small tear at top. FORTMAN B. 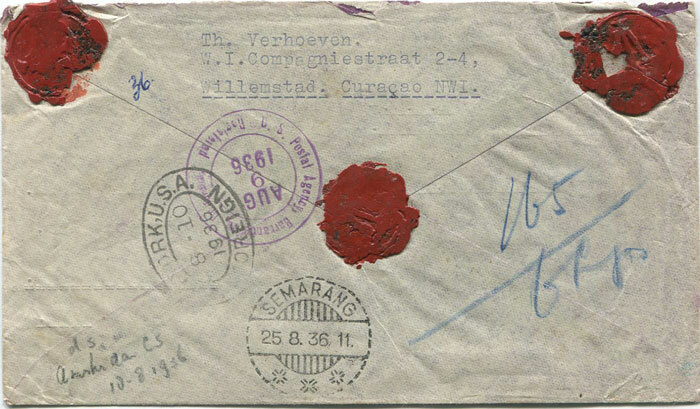 DE and MENKMAN W.R. & HUMMELINCK P.W. 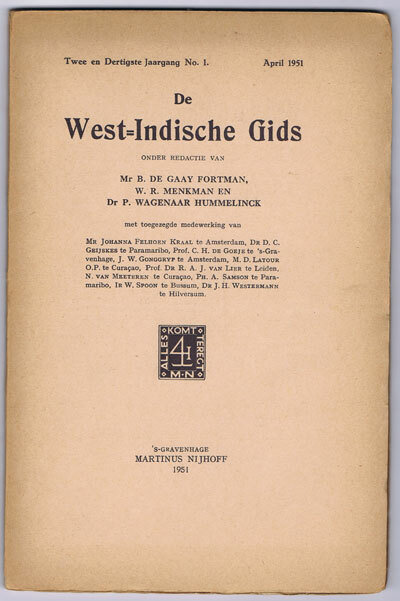 De West Indische Gids. April, July and October 1951 and July 1959 issues. Martinus Nijhoff 1951-9 4 magazines, clean in card covers. 192 + 76pp + plates. Artilces on Curacao and Suriname.